We provide all of this and more with 25 years of experience. Our free initial advice is completely confidential. Getting expert advice quickly helps you make decisions that can save you thousands and could still save your business. We come to see you at no cost to give you the right advice based on your financial circumstances. We are trusted and recommended by accountants throughout the UK that refer clients to us who are struggling with creditor pressure. Phil is a licensed insolvency practitioner and the MD of BCR. He and his team provide an array of services from advice on terms of trade and debt recovery, to acting as administrator or liquidator of insolvent companies or Trustee in Bankruptcy for insolvent individuals. He also acts as a supervisor in IVAs and CVAs. Phil holds numerous influential positions and roles within the business community and is very well known, both for his forthright and straightforward views and opinions as well as his many charitable gestures. Chris is a qualified accountant and a licensed insolvency practitioner who is an experienced part of the senior team at BCR. He is well-known, active presence within the business community and has special responsibility for the Staffordshire and Cheshire regions. He is currently a partner of 'futurefinest' which is Staffordshire’s young professional network. Chris also works closely with other business colleagues at Staffordshire Chamber. Chris is a qualified accountant and a licensed insolvency practitioner who is an experienced part of the senior team at BCR. Based in Shropshire, Nick is the primary contact for this region which now boasts three BCR offices. As a fully qualified and licensed Insolvency Practitioner Nick has a wide range of experience in all aspects of insolvency, business rescue and restructure. Nick is known as a safe pair of hands to look after the needs of businesses in the region. Nick lives in Shropshire having grown up locally. Outside work he is a keen but frustrated golfer, enjoys competing in the local squash league and snowboarding during the winter. Do You Want To Get Some Answers About What To Do Next? Here is your chance to speak to an expert. 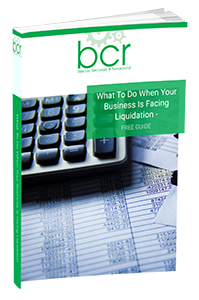 At BCR, we spend all day, every day, speaking to business owners with distressed companies. We know what a stressful time it is, but we also know you'll feel like a weight is lifted once you've been able to speak to a professional and found a clear path forward that is right for you, your business and your creditors. At absolutely no cost, we will consult with you to find out about your circumstances and provide you with impartial and professional advice on how best to manage the difficult times you are experiencing. Simply confirm your details using the form and one of our team will contact you to arrange your free consultation. Insolvency. It’s not a word anyone wants to hear. Yet with the global financial climate in turmoil it is a subject that many have to approach at some stage during their company’s journey. BCR - Licensed Insolvency Practitioners with offices in Stoke-on-Trent, London, Birmingham, Manchester, Leeds, Macclesfield, Shrewsbury & Exeter. Is your business struggling? If you are being threatened by creditors, or you're worried about paying employee wages, or you're about to go over your overdraft, then request a free confidential call back and speak to one of our experts today!